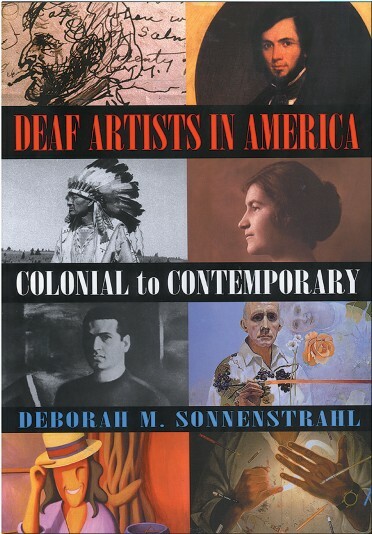 The popularity of Deaf Art has become more evident, and spans all ages of hearing and Deaf alike. 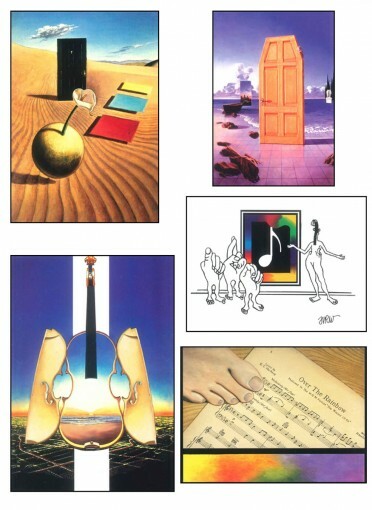 Fans of Deaf Art range from teachers studying the intricacies of the images, to young kids who are fascinated with the colorful pictures that have been created. 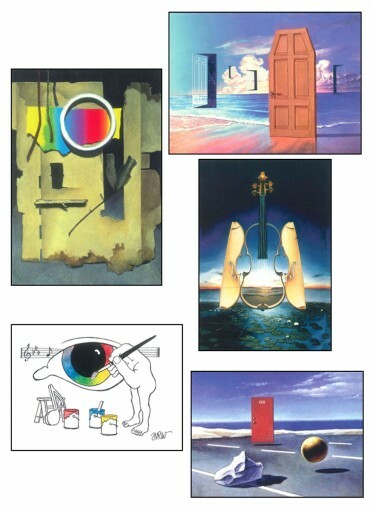 These paintings from Chuck Baird have been faithfully reproduced in full color on these note cards. There is an explanation on the back of each card, as to the significance of the sign depicted. The inside is blank to allow you to write your own special message and share this piece of art with a friend or family member. Own a piece of Deaf Culture! 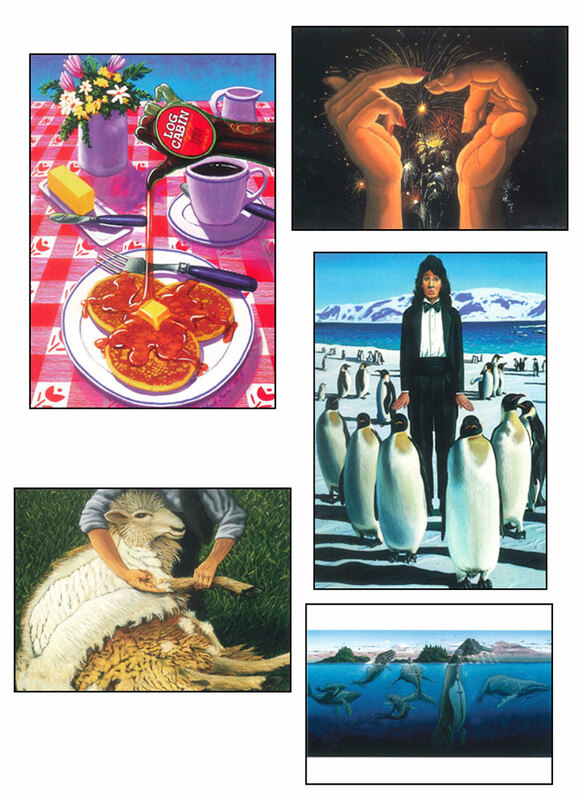 Set 2 of Chuck Baird's Note Cards include Cetacean Blue, The French Kiss, All-American Breakfast, Black Tie Only, and Shearing Sheep.